Getting away for the weekend…and a wedding! 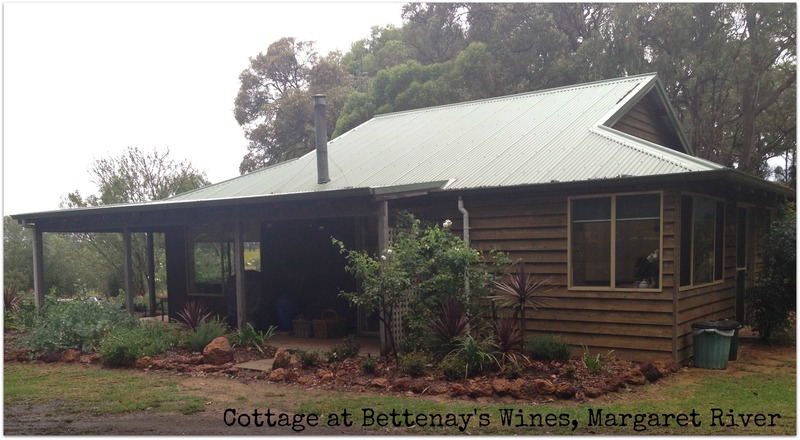 We managed to escape the suburbs this weekend, heading south to stay in a lovely cottage at Bettenay’s Wines near Cowaramup and Margaret River. It was an idyll location, with olive trees on one side, grape vines on another, and natural bush making up the rest. There were so many birds singing and darting around. And we could hear the hum of bees buzzing between flowery feasts overhead in the eucalypts. 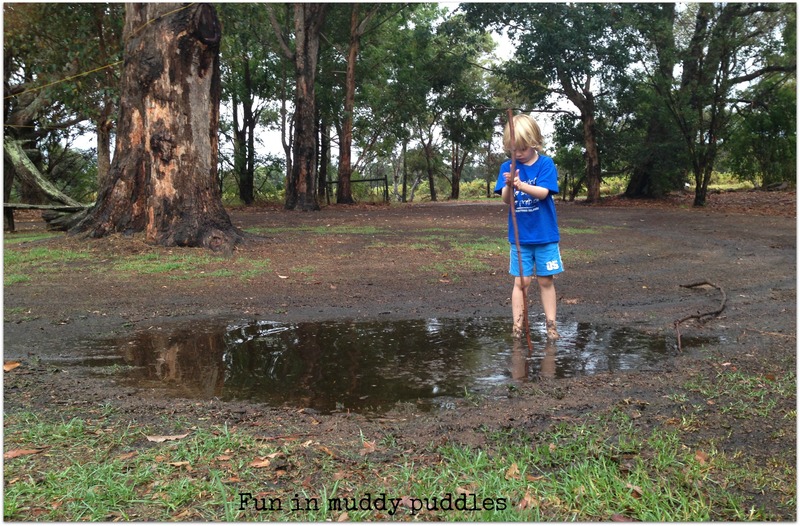 I think the most popular attraction for the DLT’s though had to be the muddy puddle just outside our front door! It was poked and prodded by many little feet and sticks. The old saying, “a dirty kid’s a happy kid” had never been more true! 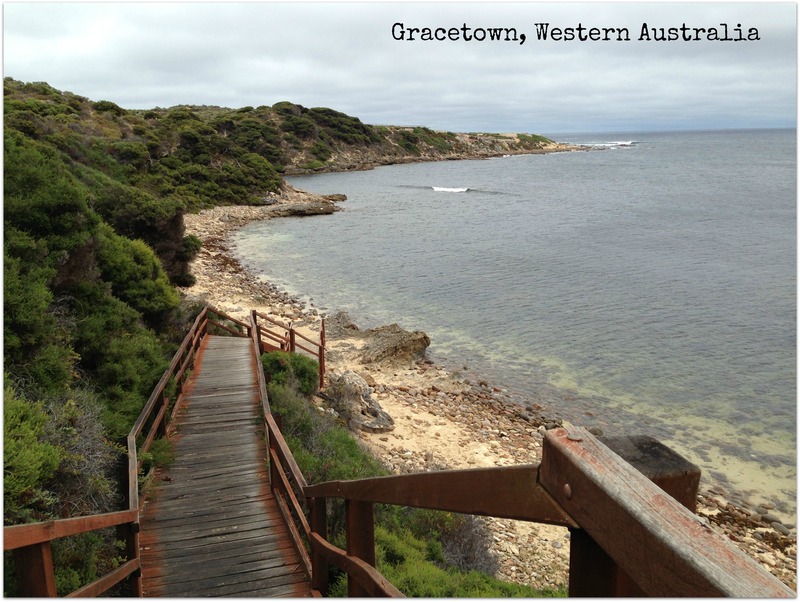 We made an early morning visit to Gracetown, where the DLT’s and Hubs climbed on rocks and ran in the sand. It’s such a stunning bay, and DLT2 happily announced that this was the best day EVER! We had headed south for the wedding of a childhood friend of Hubs. A lovely guy who over the years had given us the impression that he was a bit adverse to settling down and committing to someone. But the past few years had seen us beginning to wonder whether maybe he had changed his ideas on that front. It seemed he had met the girl of his dreams! The details of the day were shrouded in mystery. We were picked up by a double decker bus and taken on a magical mystery tour. And imagine our surprise when we saw the whole bridal party was on the bus with us! It was just the first beautiful touch of many on this wonderful day. The ceremony was held on a hill top overlooking a field, under some beautiful peppermint trees. Their vows were some of the most heartfelt I’ve ever heard. From the brides brilliant blue shoes, to the home made desserts and take home cookies in a box, it was a perfect day. Just the way a wedding should be, relaxed and fun…I haven’t laughed so hard in ages (thanks to the father of the bride, and the guy sitting next to me!). And did I mention we sat at the bridal table? How cool is that! We had such a great weekend, and as usual we agreed that we should get away more often. I’ve always wished we had a holiday house in the family that we could visit whenever we wanted a break. But after the fun we had renting a cottage for a couple of nights I think we might just borrow other peoples! It would sure be a lot less expensive than taking out a second mortgage!! !